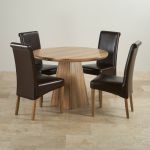 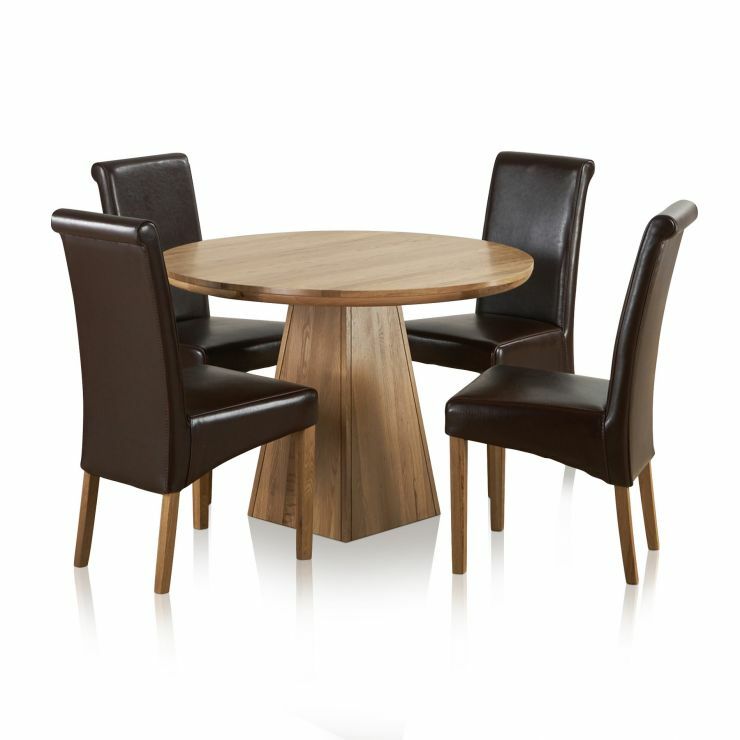 Enhance your home with the Provence solid oak round dining table accompanied by four leather brown dining chairs. It's made using only 100% solid oak to showcase the superior grain patterns and golden hues of the premium grade timbers. 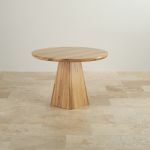 The modern design features a pyramid style base sculpted from one inch thick timbers for added strength and stability. 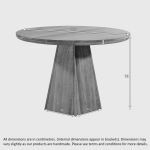 Placed in the kitchen or dining room, a round table is perfect for socialising with family and friends over breakfast, dinner or a light snack. 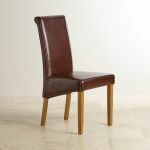 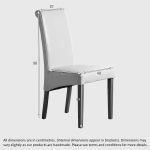 The scroll-back dining chairs are designed to complement the oak table perfectly with their hand carved solid oak legs.